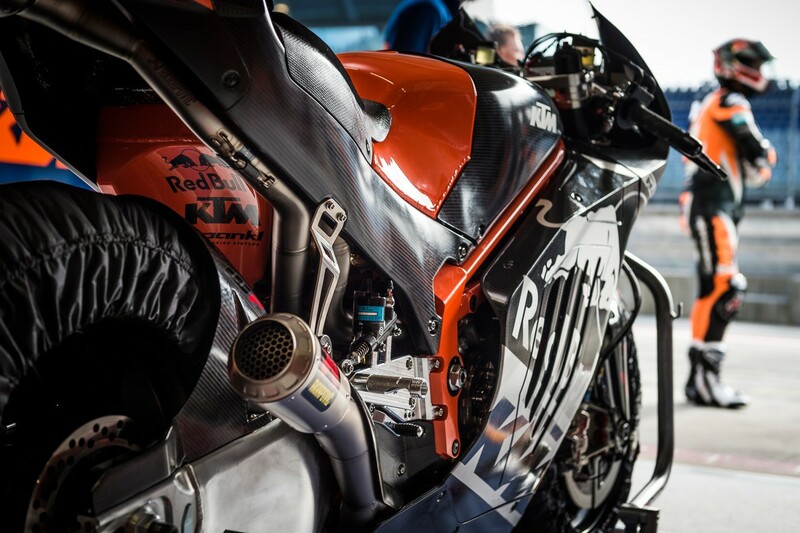 KTM is more than happy with their new MotoGP project, as the development of the bike goes as expected, and the feedback from its two test riders is overwhelmingly positive. The orange factory also announced that they would be introducing the RC16 MotoGP prototype at the Austrian GP on August 14. CEO Stefan Pierer says that the development of the new motorcycle is going according to plan on all levels, and he sounds very confident in the future of the machine. Only a couple of years ago, the same Mr. Pierer was talking about how the return of investment in MotoGP was poor and his company had, therefore, no plans for the premier class. Now things seem to have become significantly better, as he also says that the project is doing very well financially. This can only mean that KTM has been able to design and engineer a competitive motorcycle without spending a fortune (in corporate terms, of course) in the process. With the deep pockets a company like KTM has, if the RC16 proves to perform well in its debut year, it's hard to anticipate what pouring more money in developing it might bring. But this only makes things even more exciting! KTM fans and MotoGP enthusiasts will be able to see the RC16 in the flesh on August 14 at the Red Bull Ring, during the Grand Prix of Austria. KTM's decision to unveil the bike officially during the home MotoGP round is only natural, and Mattighofen already reserved a 10,000-seat grandstand for KTM fans at the circuit in Speilberg. 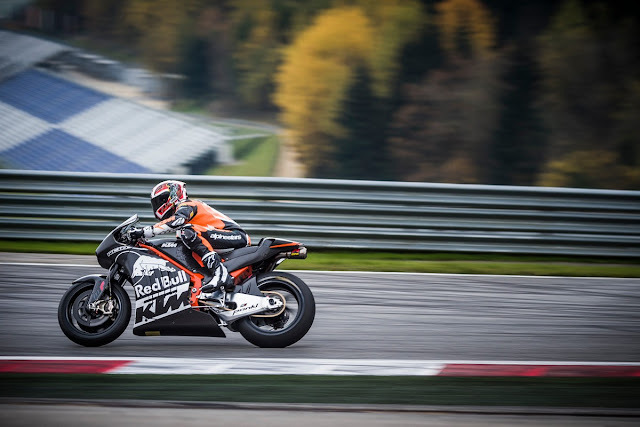 Making things even more thrilling, KTM filed a request with the FIM for a wildcard entry in the final round of the 2016 MotoGP championship, at Valencia, and there is no reason to believe they will have any trouble being granted one. 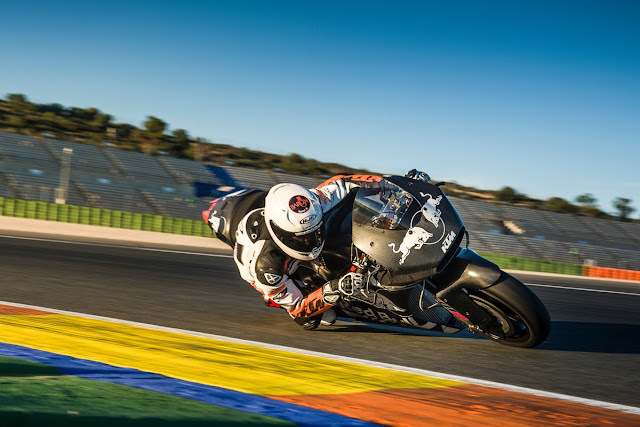 KTM has not announced any name(s) as to who will be astride their machine at Valencia, but only mentioned that the feedback the factory gets from the two test riders, Alex Hofmann and Mika Kallio, is great. "Finishing outside top 10 does not fit into our plans"
As far as the goals of KTM's MotoGP effort, Pierer says that the plans are to stick with Suzuki. Keeping up with the Hamamatsu bikes is, for starters, a good debut, and KTM officials say that they want to be in the top ten. Performance lower than this is not accepted as suitable for Mattighofen, KTM sources say, according to insella. However, Mr. Pierer claims that the RC16 will not be plagued by the lack of power Suzuki is currently struggling with. The RC16 already produces 270 horsepower, the KTM CEO says, hinting that the final version of the bike might be even more powerful.